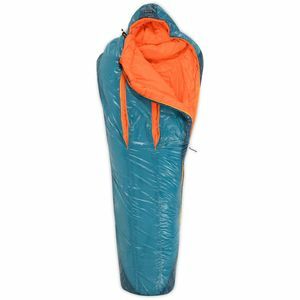 Being a member of Marmot's Ultralight series of sleeping bags, the Hydrogen 30-Degree Down Bag is a great option for the ounce-counting backpacker that still appreciates a good night's sleep after a long day on the trail. 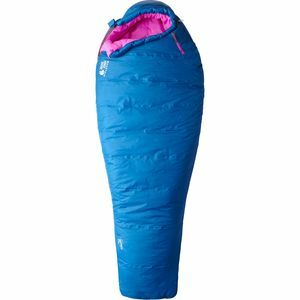 To keep the Hydrogen warm in the face of condensation, Marmot used Pertex Microlight fabric to save weight, increase breathability, and protect the down insulation from light moisture. 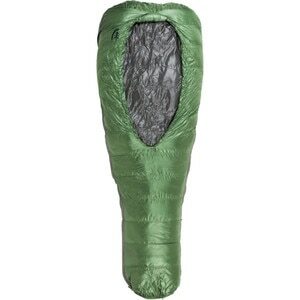 Better yet, the insulation consists of 800-fill down that's been finished with Marmot's Down Defender treatment to help prevent it from clumping and ultimately losing insulating properties should it happen to get wet. 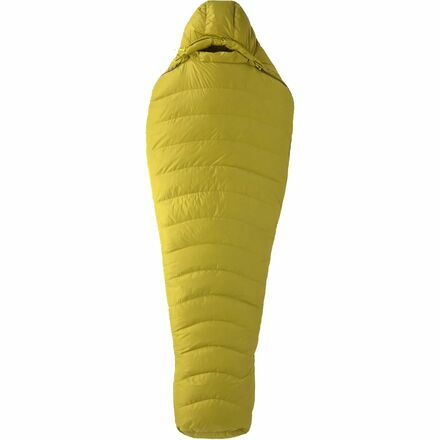 The basic mummy shape efficiently traps warm air and has an anatomic footbox to give your feet some extra room to roam once you're in for the night, and comes with either a left- or right-handed full-length zipper to please right- and left-sided sleepers. 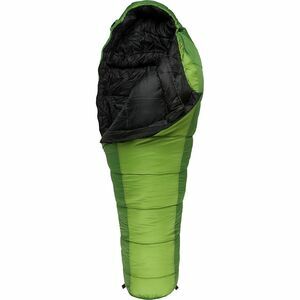 An additional zipper on the opposite side allows the front of the bag to fold down for added comfort when you're sitting up in your bag waiting for a storm to pass.